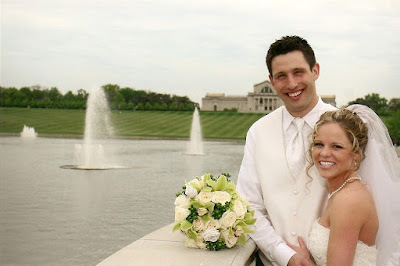 These photos are from the wedding of Ashely and Michael. 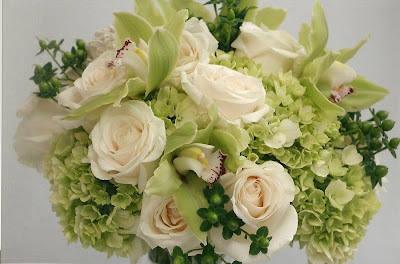 Bright greens and pinks with touches of ivory were used throughout the flowers. Take a peek! Images by Bernie Elking. 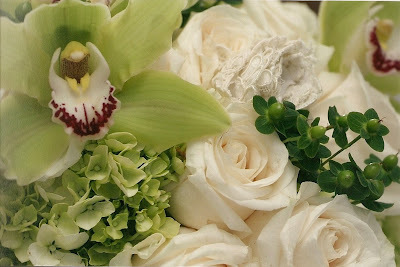 The bridal bouquet included roses, hydrangea, berries, and orchids. Small lace rosettes were made from the fabric of both mothers’ wedding gowns. 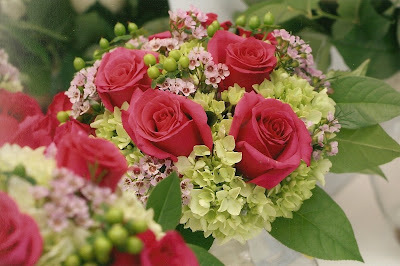 We placed them within the bridal bouquet to add a small personal and meaningful touch for Ashley. 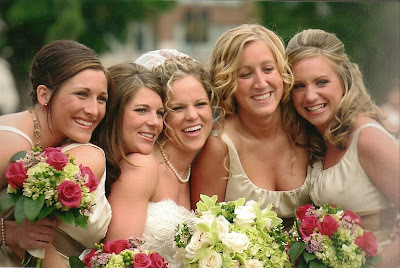 Bright pinks and greens were used in the bridesmaids’ flowers. The groom wore a green orchid boutonniere to match the bridal bouquet. 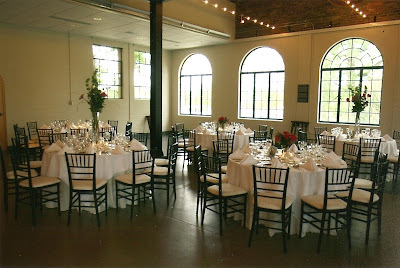 At the Forest Park Visitors Center, we did a combination of high and low centerpieces in the bright wedding colors. Congratulations and best wishes to the bride and groom from all of us at Sisters!